Brorsoft Video Converter for Mac is fully compatible with Mac OS X macOS Sierra, El Capitan, Yosemite, Mavericks, etc. It supports a wide variety of video formats, lets you preview the input files, and allows you to merge multiple clips into a single movie. Its video editing options include the abilities to trim, crop or watermark movies, attach subtitles to clips, etc. When it comes to converting the videos, the application takes minimum time to export the clips. Plus, it doesn’t slow down your computer while generating the output files. It has a trial version and a full version. Brorsoft Video Converter for Mac supports 150+ presets for popular devices like the iPhone (including iPhone 6 Plus and iPhone 6), iPad, Android devices(Nexus 7, Nexus 7, Amazon Fire HD, Samsung Galaxy Tab, Nook HD), Windows-based tablets and game console, etc. 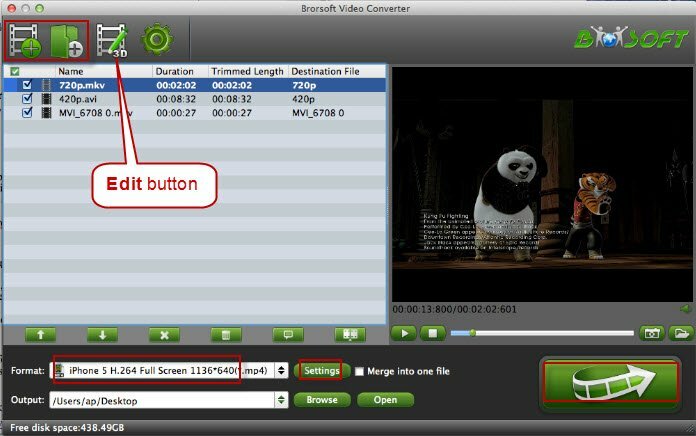 Far more than a Mac video conversion program, Brorsoft Video Converter also comes with a built-in video editor, with which, you can personalize and retouch your videos in clicks. Brorsoft Video Converter for Mac supports decoding H.265 source files for playing, editing and sharing, encode other files to H.265 MP4/MKV for better streaming, playing and storage. This entry was posted in Video Software, Video Software Downloads and tagged best video converter for mac, brorsoft video converter for mac, download brorsoft video converter for mac. Bookmark the permalink. Yes. Brorsoft video converter for Mac is an excellent video conversion mac tool I’ve used.